vignette design: My Friend Heidi Could Use Some Encouraging Words Right Now! My Friend Heidi Could Use Some Encouraging Words Right Now! 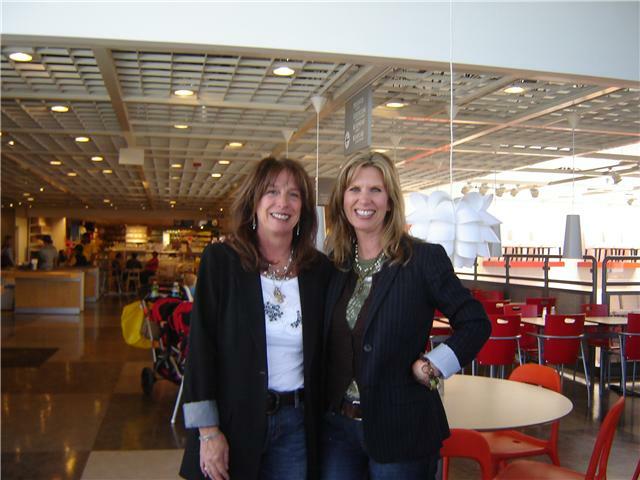 Last year, I had the pleasure of meeting fellow blogger, Heidi from "Heart and Home." We had so much in common, even dressing alike! Needless to say, we became instant friends! Here we are shopping at Ikea! What a fun day that was! You can read about it here. We also had fun hanging out in Los Gatos back in September here, and have stayed in touch with each other via email. Heidi's blog, Heart and Home is about her life and home on the California redwood coast. She has a great sense of style and I love how she decorates her home. 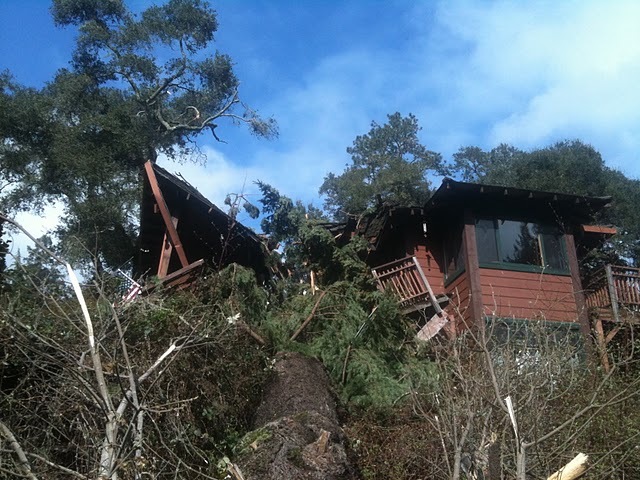 Recently though, disaster struck Heidi's lovely home in the redwoods. A 100 foot tree fell completely through their home, splitting it in two, just barely missing Heidi and her little dog by only a few feet! Can you believe this? But, you need to hear about this from Heidi herself! Please visit Heart and Home and read this incredible story, and how she is dealing with the process of slowly rebuilding their home. I know with her design talent, she will rebuild it even better than it was before! I'm sure Heidi could use all the encouragement she can get right now! I can't even begin to fathom how devastating that must be. Oh, my. Thanks for the info. I thought Heidi had quit blogging long time ago. Glad to see she is back, but what a thing she has to go through. I read Heidi's post the other night and couldn't believe it. I left her a comment. My heart goes out to her. What a blessing that Heidi and Maggie are safe!! I will keep Heidi and her family in my thoughts and prayers as they rebuild their home. I can imagine that this is a very diffult time for her. We are going to come through this stronger, but right now it just feels bad!! Thank you for all your kindness and support, I am looking forward to our next shopping trip! Oh my goodness! That is terrible. My parents just spent thousands having their huge trees removed to prevent an accident just like this. I hope Heidi is okay! Oh my! What a horrible story. I will go and send her well wishes. Thanks for sending us all over there. Oh my heavens....I will jump over to her right now to offer up an encouraging word! Oh my goodness, how sad, but also how lucky she and her dog were to have been missed by that huge tree! I'm off to visit her blog!